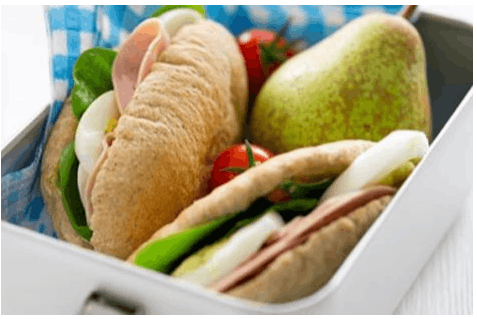 Students may bring a packed lunch to school which can be eaten in the Atrium or outside in one of the designated areas for their Year Group. They can also buy a school lunch from the healthy range offered by Sodexo’s catering service. Food available includes a choice of hot meals each day (including a vegetarian option), a pasta bar, salads and sandwiches, as well as drinks and snacks. All catering at West Exe School is cashless at the point of sale and students either use a PIN number to pay, which is given to them on their first day at school or use the Biometric finger print system (a consent form for which is provided below). Students need to charge their account with funds at the machines in School before going to purchase items. This can be done using notes or silver coinage (10 pence and above). The machines are available before school, during break and lunchtime, as well as after school, but not during lessons. At the till, students enter their PIN number or put their finger onto the sensor pad and the amount will be debited from your balance. If your child is eligible for free school meals it means they can enjoy delicious, healthy meals without the bills and the fuss of making packed lunches. Many children at our school are already eating free school meals, and your child may be able to have them too. School meals will give your child a real appetite for learning and help them to achieve their full potential. Students claiming Free School Meals receive a daily allowance to spend on food and drink, and thanks to the cashless catering system at West Exe School, a child claiming Free School Meals is treated the same as other students and cannot be identified. Their allowance gets added to their account each morning and any unspent allowance removed after lunch. Applications for Free School Meals can be made through the Devon Citizen’s Portal.